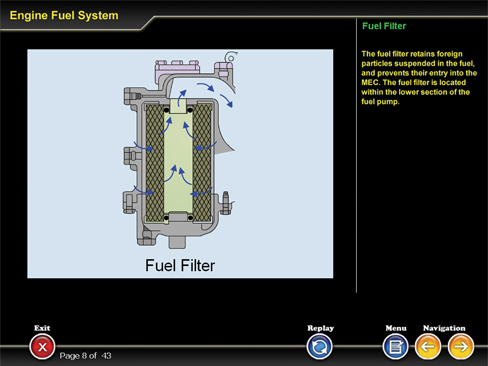 The ATA73 CBT module provides description of the engine fuel system and engine power management for turbofan engines used on commercial aircraft. The CBT has 43 pages of multimedia courseware that include text, audio, and graphics. The topics covered in this CBT are listed below.